Warts - to freeze or not to freeze? What to do about warts? Stop ineffective, messy home treatments for plantar warts. Elmhurst Podiatrists at Prairie Path Foot & Ankle Clinic have the solution for you-call 630-834-3668! A common treatment for plantars warts- those on the bottom of the foot- is freezing with an over the counter freezing spray. The chemical from the freezing spray does not kill the wart virus. Instead, the concept is that the freezing will destroy the skin surrounding the wart virus. This should cause an environment that is hostile to the wart, which in turn, will slowly cause the wart virus to go away as the environment no longer supports it. However, this does not always work. For one, the liquid medication does not allow the skin to get cold enough and still be safe. Therefore, it does not irritate the virus and the skin around it enough to eradicate it. How do we treat warts at Prairie Path Foot and Anke Clinic? We have a painless treatment that incorporates a topical treatment in the office, and treatments at home as well in order to be effective. We find that treatments every 2 weeks in the office and dilligent application of a medication at home works the best. Most of our patients see relief within 4 treatments. 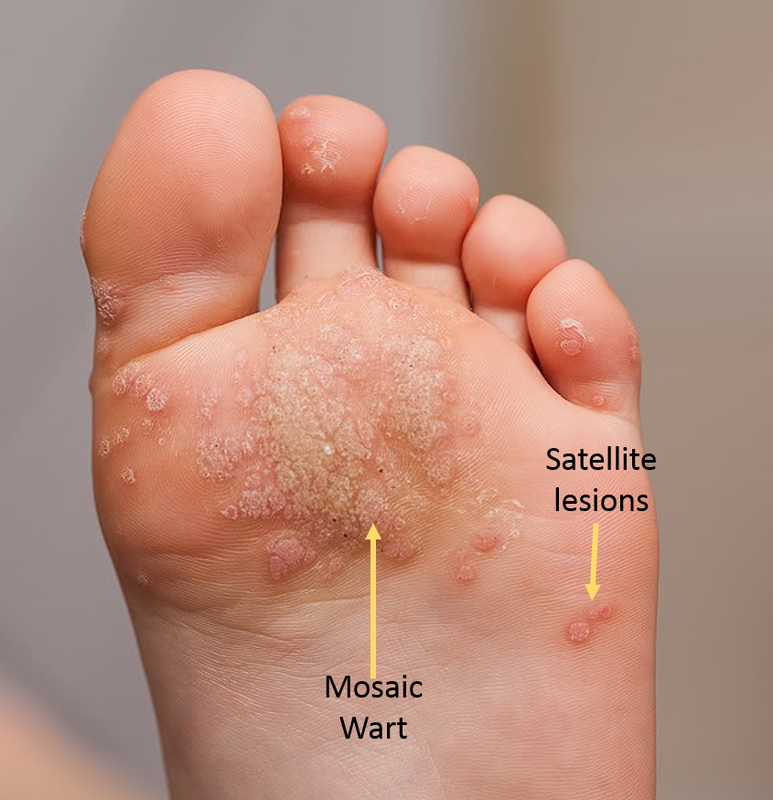 If you or your child has a wart and cannot get rid of it, call our office today for painless wart treatment. You will be glad you did!